Today started with a lecture about Uda city. We learned about Uda city with Mr. Matsumoto, a former elementary and middle school teacher and current firefly breeder. Mr. Matsumoto talked to us about the history of Uda and the city’s basic information. One of the most interesting things that I have learned is that Uda was in fact officially declared as a city only 10 years ago, when four nearby towns and villages decided to come together. Yet in spite of Uda’s beautiful scenery and wonderfully kind people, it continues to face issues. One of the biggest problems that Uda is facing is its decreasing number of younger population and a rising elderly population. 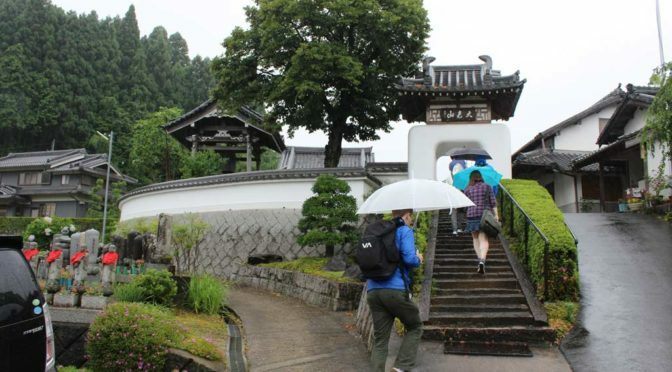 In the afternoon, volunteers kindly drove my fellow World Campus – Japan members and I to Renshouji Temple. There, we were able to experience Zen meditation, a unique and calming experience for both the body and mind. We were taught posture, breathing, and thinking, the three main aspects to a successful Zen meditation session. While the usual meditation sessions were 30 minutes, we did 13 minutes seeing that we were all beginners. The head monk also walked around during meditation to hit anyone who either did well, needed help, or voluntarily wished to be hit. After the meditation session, we were given snacks and tea provided to us by the temple. Today was an amazing day that I will never forget. My mind did truly become calmer, and my thoughts clearer. I hope I can return and try Zen meditation again next year! 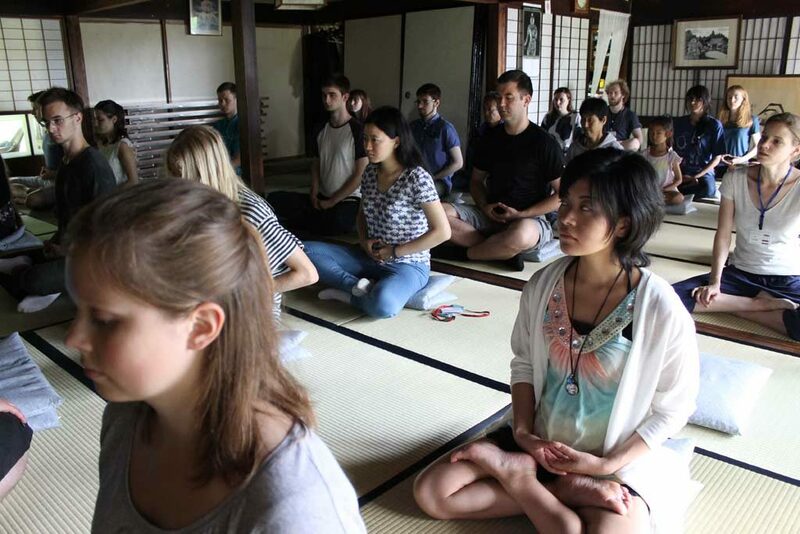 Previous PostWorking in Osaka and meeting Kansai university juggling club with World Campus – JapanNext PostWorld Campus – Japan learns about Nara and zen meditation.